Bernard schreibt uns folgenden: "Good conditions for fishing at Livardière: showers, cloudy sky and sometimes a warm sun and west wind... but it was not a good for the catches. Swim 9 caught some bream and one 15kg mirror. Swim 7 caught 4 carp. 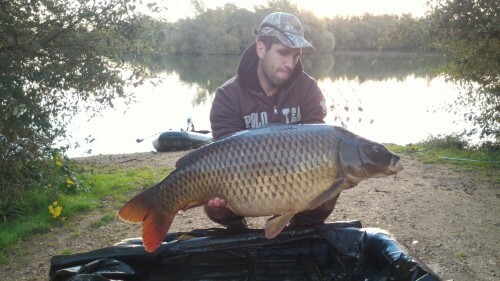 Swim 3 fished only for 72 hours and caught a 20,5kg mirror, 19,8kg common,17kg mirror, 13kg mirror and 1 sturgeon of 1,35m."